Montserrat is taking advantage of the thousands participating and watching Antigua Sailing Week to showcase the island. ASW is now in its 51st year and runs until May 4th. Montserrat has a booth and display materials at the Caribbean’s largest sailing event. About 1,000 sailors from 37 countries are participating with a host of other visitors and locals taking in the daily action and nightly entertainment. According to a release from the Government Information Unit, about 40% of the boats are chartered by visitors for the week. Thirty percent sail across the Atlantic from Europe or from the US, and thirty percent are owned by Caribbean sailors, with the majority of the crew from the UK, Germany, US and the wider Caribbean Region. Marketing Officer, Ms. Cherise Aymer is at the event and has been busy promoting Montserrat to the crowds of people who pass by the Montserrat booth; many of whom are eager to find out more about the island with the view of visiting. Ms. Aymer’s attendance at the regatta also presents a good opportunity to observe and to improve on what is being promoted for the next event. “There is a genuine interest in Montserrat from the yachties I have met so far; some have indicated that they have visited before with others saying that they will definitely stop by on their next sail to the Region,” commented Ms. Aymer. She further added that the locals have been showing a lot of interest in Montserrat some of whom were not aware of the different festivals on island and are now keen to visit. A teacher whom she met is now looking to send a school group with over 100 students to the island on a day trip. “Antigua being our hub is a key market for us to target, not as a competitor but to add to the overall experience of visitors when they come to the region,” concluded Ms. Aymer. 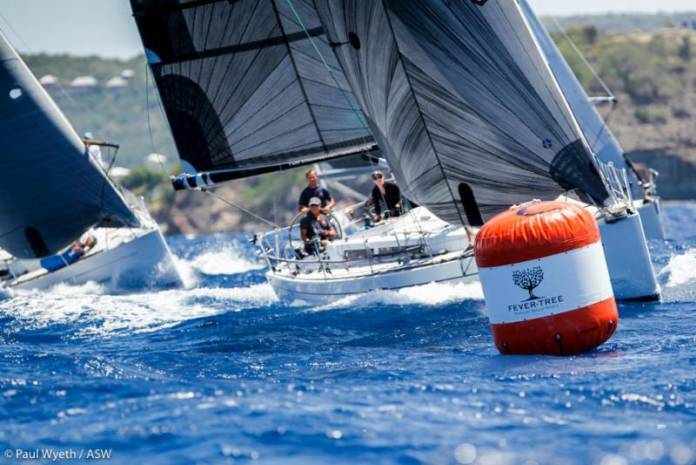 Antigua Sailing Week started in 1968 and has been hugely successful ever since; so much so, that the dates have already been set for the event for the next five years.